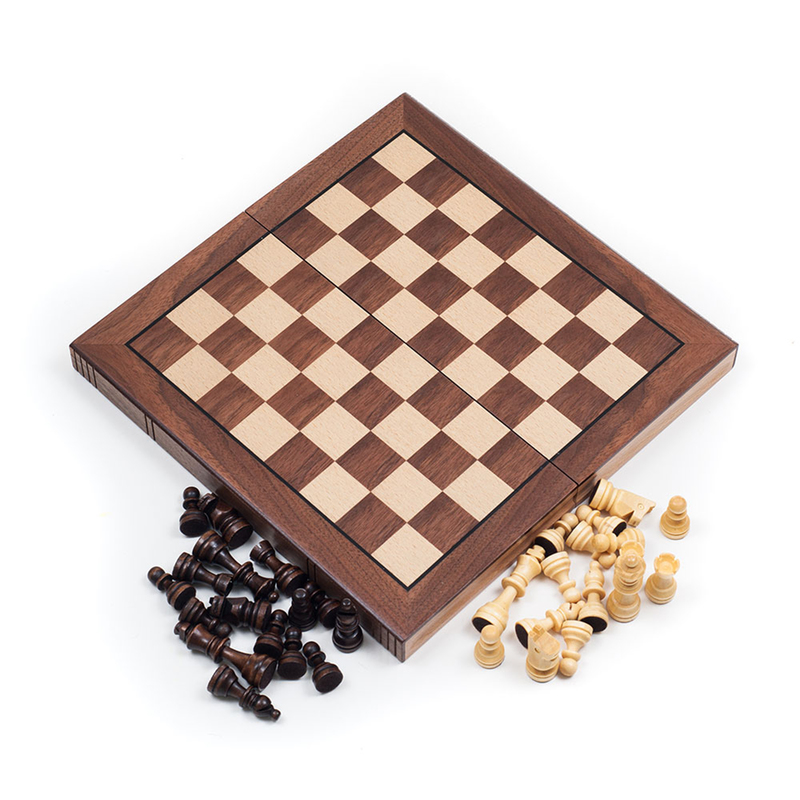 Take your gaming to the next level with the royal game, the game of chess! 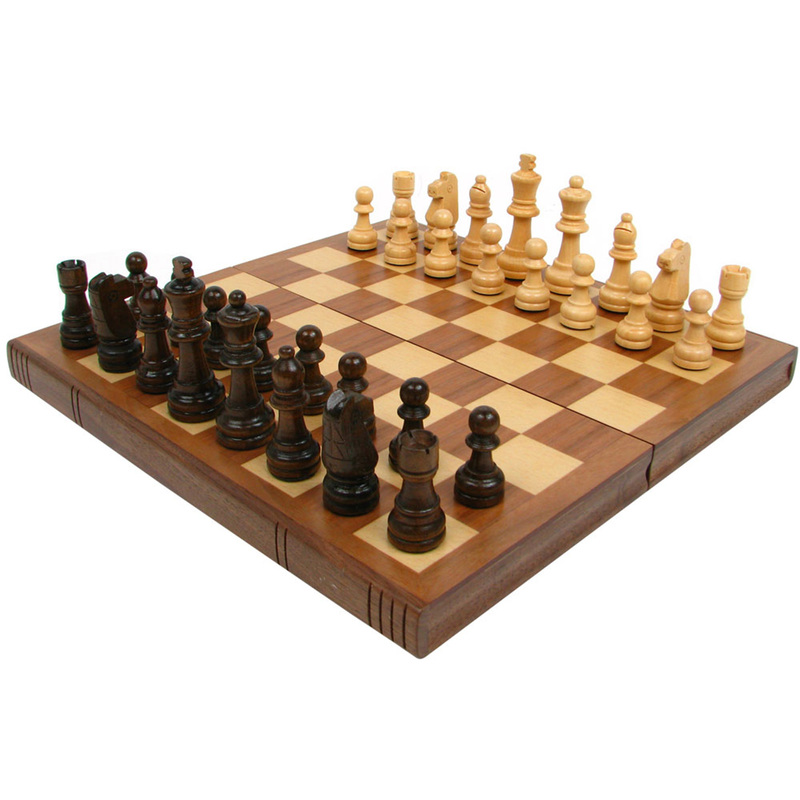 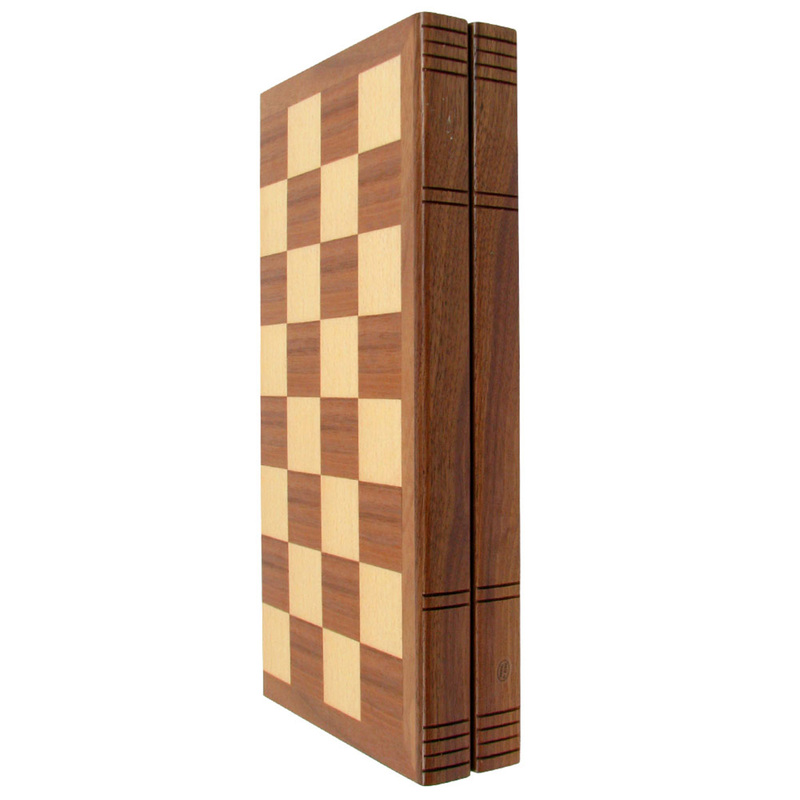 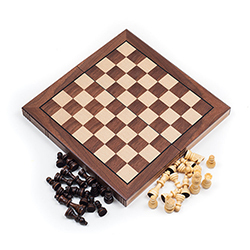 This beautiful walnut chess set has been cleverly designed to fold like a book for convenient storage on your bookshelf. 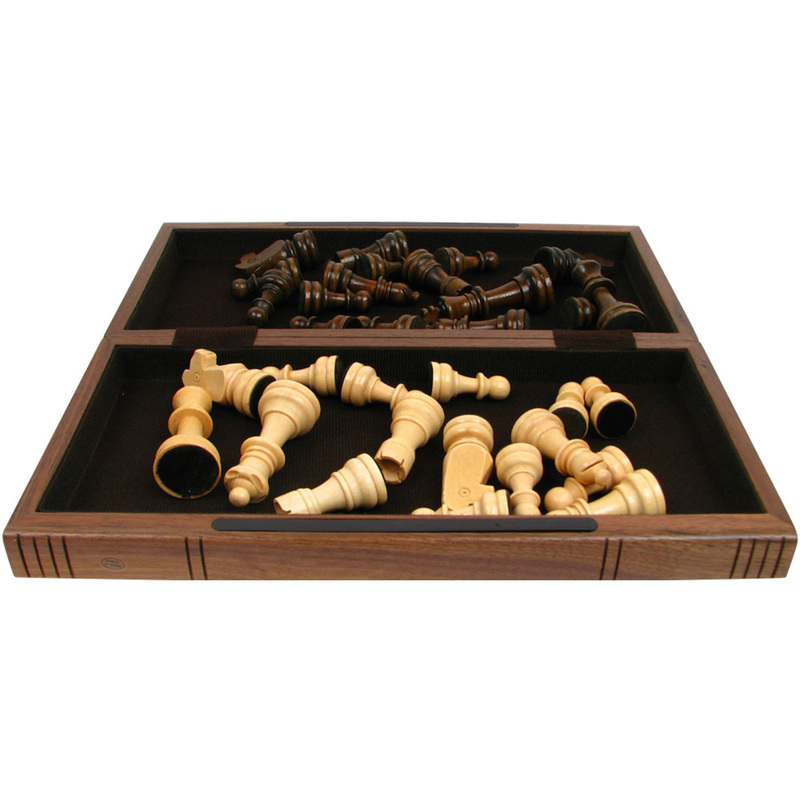 The Staunton pieces are excellently crafted from extravagant woods and feature a polished finish. All the pieces are easily stored inside the board for safe keeping.